The Greens: Party at the Polo Club! Party at the Polo Club! 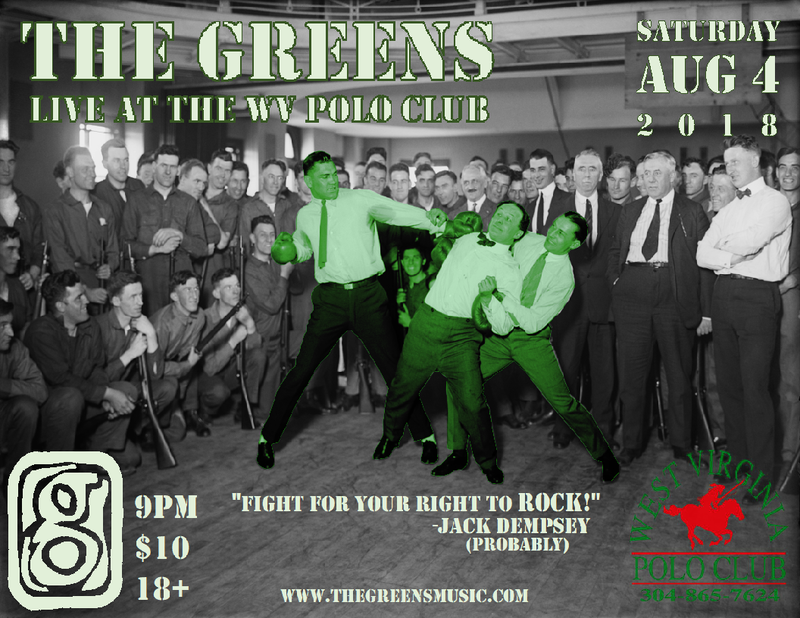 Come out this Saturday to see us rock socks at the West Virginia Polo Club! It'll be a great night of hometown rock 'n roll sure to please. See you there!